What Drives Our School Book Drives? The short answer is: a passion for reading. Book drives are a fun way to engage students in a meaningful experience that makes change happen. The four easy steps of a typical book drive are charted below. The documents in the blue column are readable and downloadable. They’ll answer most of your questions, including book collection criteria. Everything you need to run a successful, two week book drive is here. Download this PDF. Fill in all fields. Remember to save it! Then send it as an attachment to: sonyawhite@​oneworldschoolhouse.​org. 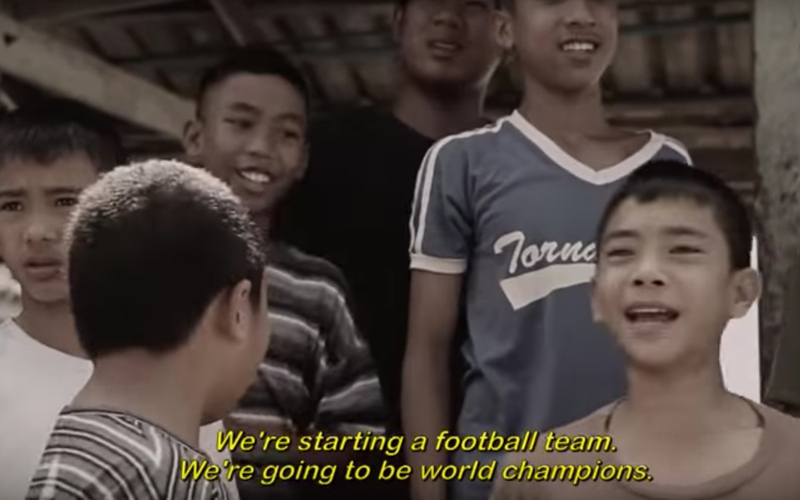 You can stream a second video called ​“The Story Of Panyee Football Club”, described in ​“Optional Supplementary Lesson Plan.” Click anywhere on the first page; there’s an embedded weblink to the video on YouTube. These documents include: box ordering and box pick-up; book criteria – what we can and cannot accept; how to promote your book drive with posters and morning announcements; letters to parents. 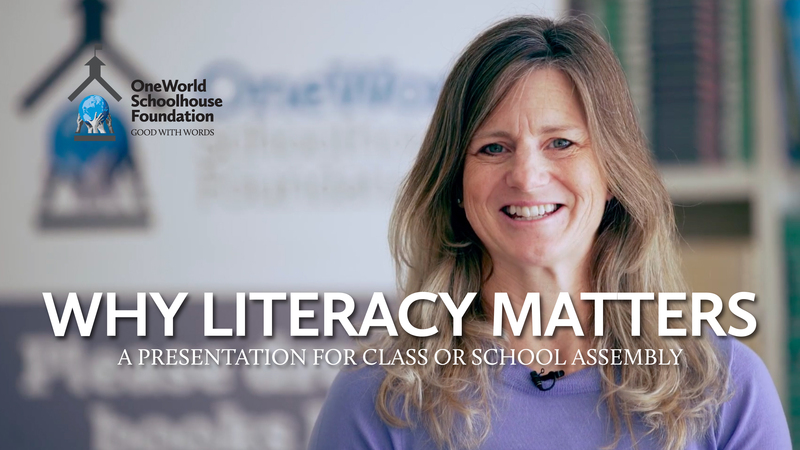 OWSH is dedicated to educating kids and families about literacy, inspiring them to take action. We are empowering students in Ontario to become directly involved in literacy initiatives that are restoring school libraries and transforming lives in the Eastern Caribbean. Students from over 50 Ontario elementary schools have poured their energy into retrieving 250,000 gently used books from home. These have been redistributed in St. Lucia, Grenada, Montserrat and Nevis where school libraries have been neglected for years. The book drive program, coupled with our annual Rainforest of Reading Festival, is creating a meaningful context for literacy– and inspiring new advocates every day. We regret we’re not able to accept book donations outside of a school book drive. However, there are a number of groups who will: Goodwill Industries or Habitat for Humanity. If you have high school or university textbooks try Textbooks for Change and Canadian School Book Exchange. 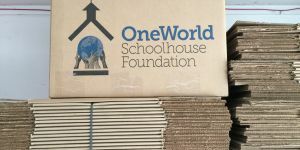 To start a book drive, complete the SCHOOL INFORMATION FORM under ​“Teacher Resources” and submit to: sonyawhite@​oneworldschoolhouse.​org. We ship bundled cardboard boxes (12 in. x 12 in. x 18 in.) in flat bundles of 20 to your school. (Just e-mail us should you need more.) You’ll also receive 3 large posters to promote your event. 10 school days is ideal for a book drive. Pick your start and stop dates and we’ll drop off flat boxes and pick up your packed boxes to suit your schedule. Use our posters to promote your event. A display in the school lobby will remind students to contribute their books before the deadline! Give us 3 days notice and Cavalier Transportation, our logistics partner, will pick-up your packed boxes. Please ask a few students to take your boxes to the curbside. 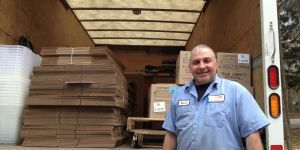 The driver will take your students’ donations to our warehouse in Bolton.